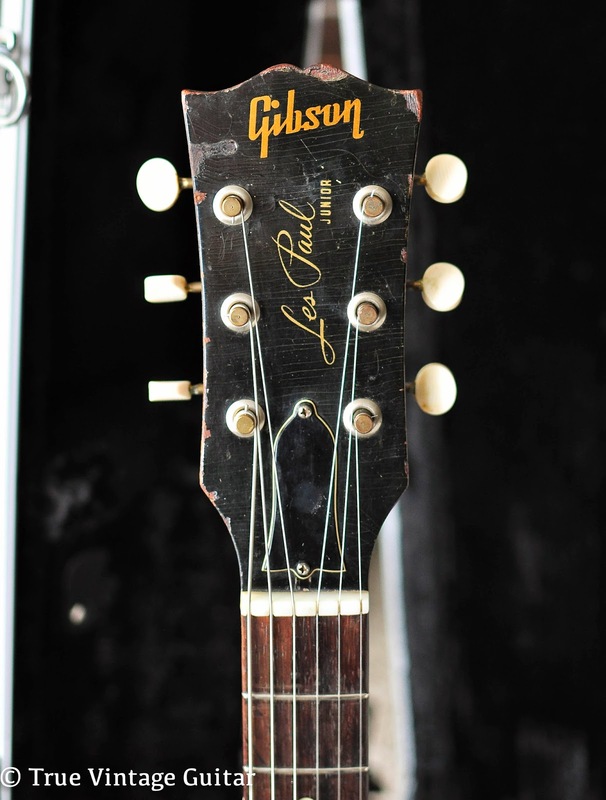 The Gibson Les Paul Jr was introduced in 1954 as a bare bones entry level electric guitar. It featured a slab Mahogany body, Mahogany neck, Brazilian Rosewood fret board and a single P-90 pickup in the bridge position. The Les Paul Jr is known today as a rock and roll workhorse. 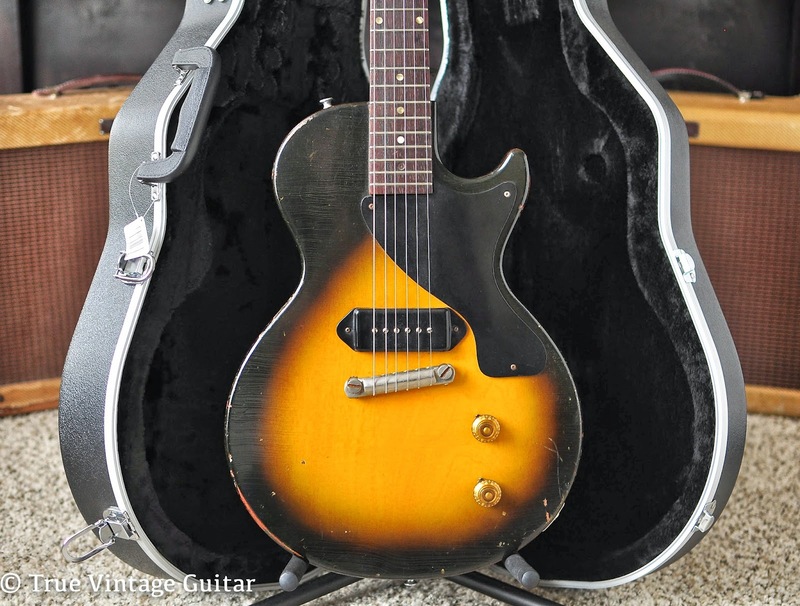 This Les Paul Jr's design is so well suited for rock and roll because of the average weight, single pickup, neck profile/width and the fact that it is a real 1950s Les Paul. The lack of a Maple cap on the body makes these a comfortable 7 lbs, give or take a pound depending on the slab of wood. The single pickup in the bridge position is actually one of this model's secret weapons: the lack of a neck pickup allows the strings to ring and sustain free from the pull of another pickup's magnet. The result is a rich, full strum that sustains with harmonic overtones for as long as you want it to. 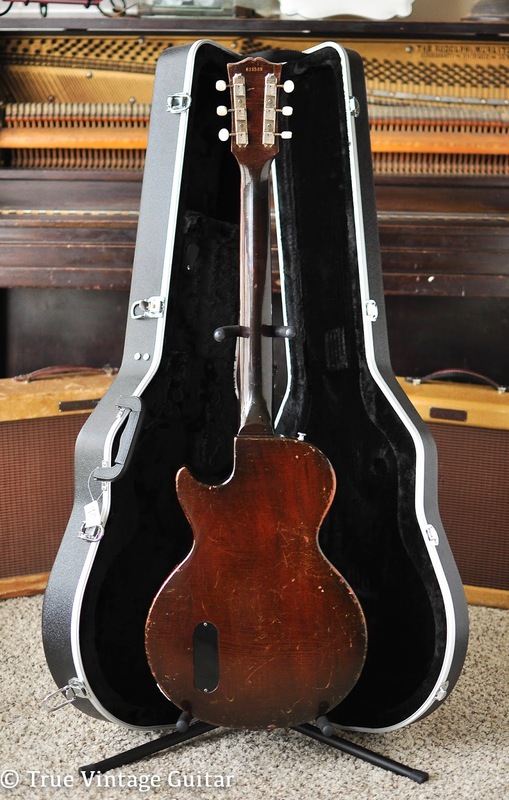 The neck profile is the same as any mid-to-late 1950s Gibson. It's full and comfortable and only slightly more full than a '59. And let's be honest, who wouldn't want something that says Gibson and Les Paul on the headstock and is actually from the 1950s? The Les Paul Jr went through some changes throughout the 50s and 60s, the two most important being the change to a double cutaway body in late 1958 and the change to the SG body in late 1962. 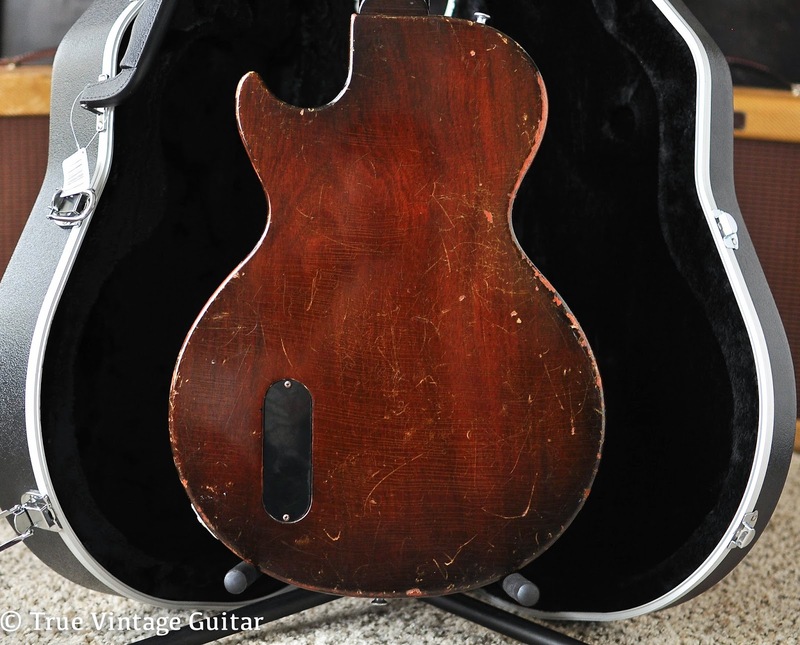 I've heard of only three 1959 single cut Juniors so it is possible to have one. That would be quite a valuable guitar with the '59 neck profile and single cut body, although I prefer the mid 1950s neck profile over a '59. One other change of note is the relocation of the pickup from being right up next to the bridge to a half inch away. They also increased the depth of the bridge posts which fixed the common problem with leaning posts. 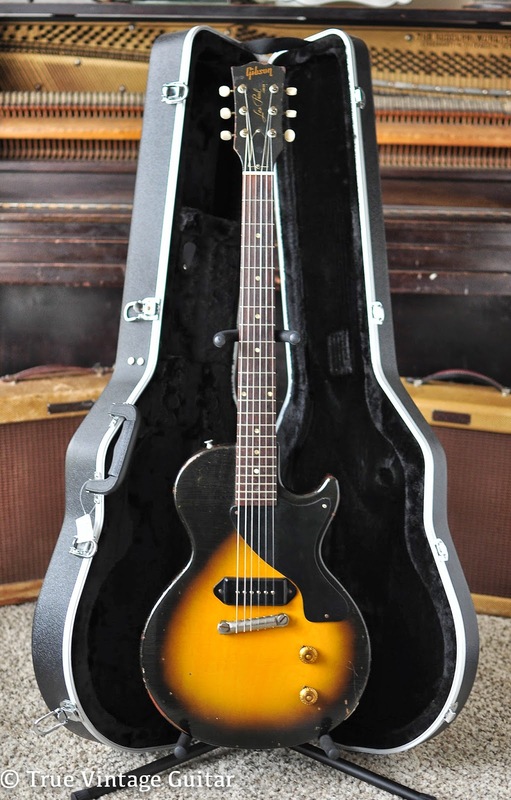 Do you have a Les Paul Jr that you are interested in selling? Please contact me: Truevintageguitar.com. Fueled by coffee. One woman, many guitars.